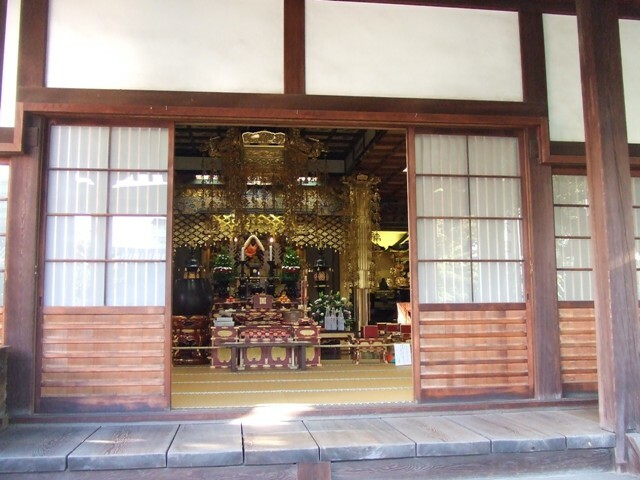 I have introduced a lot about Sumiyoshi Grand Shrine a lot, but I realized I haven’t told the most important thing about it; who is enshrined? 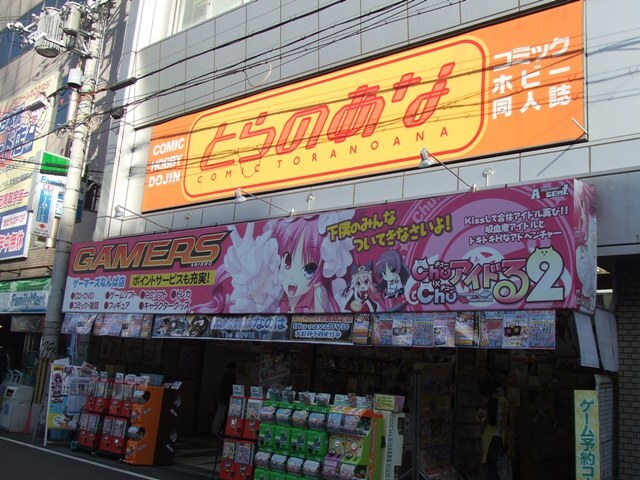 I am going to take you there. 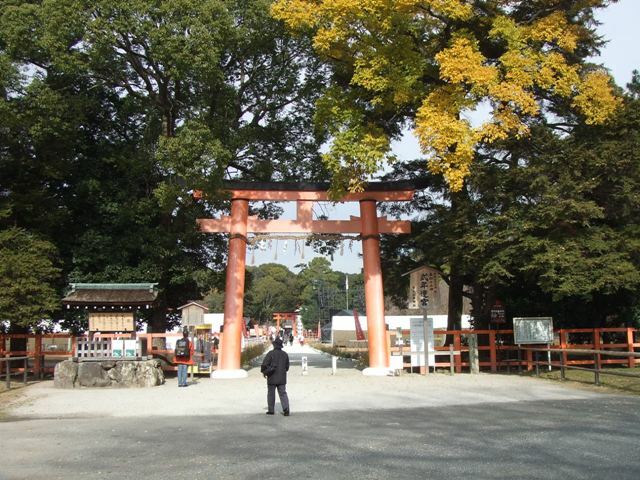 When you enter, you will see two buildings, the third shrine, and the fourth shrine. 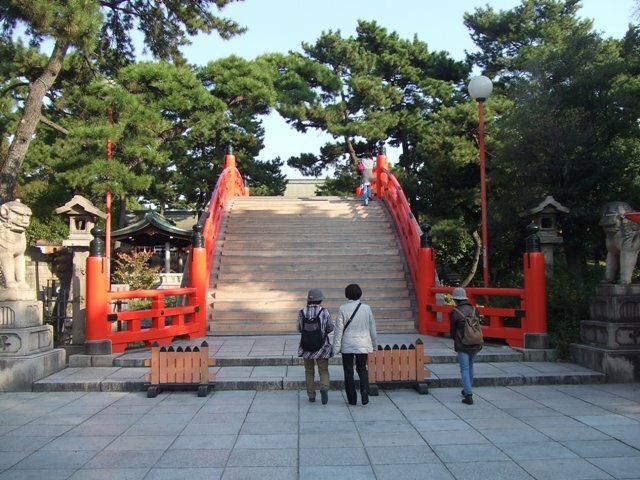 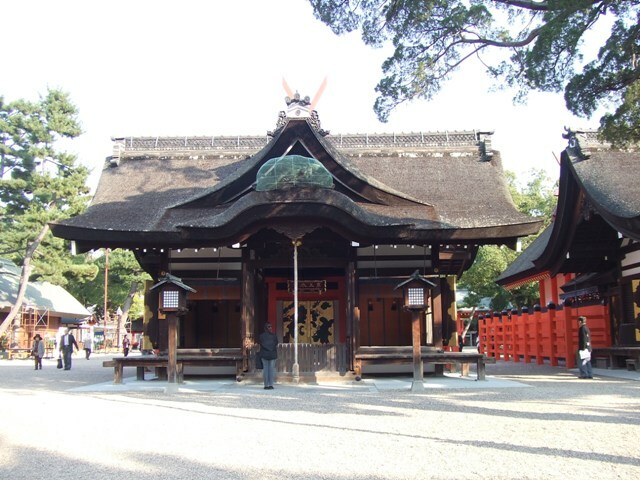 Three shrines which are positioned parallel are called Sumiyoshi’s Three gods. 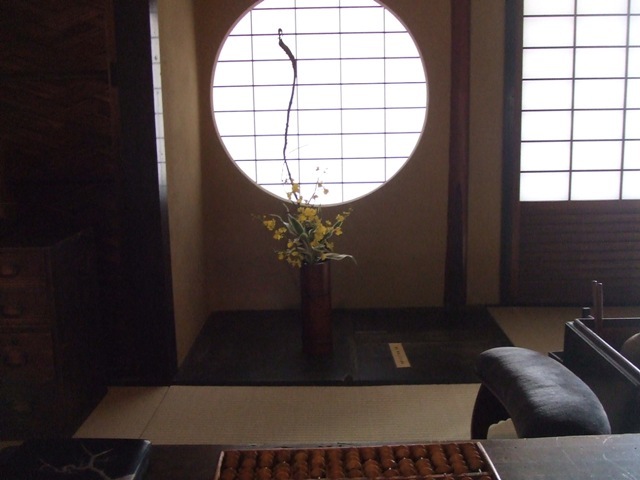 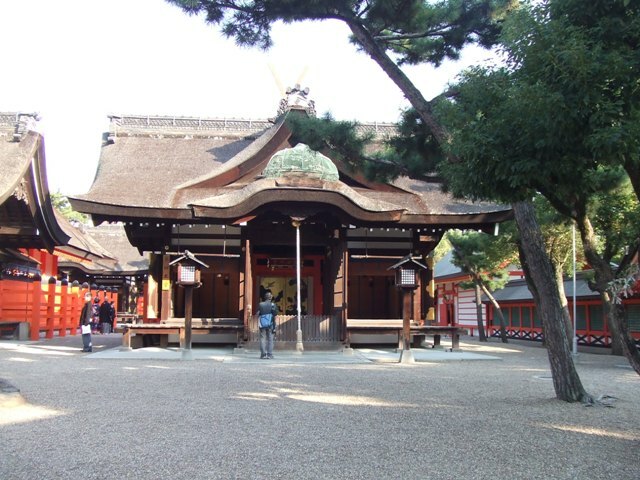 In the first shrine which is in the back, Soko tsutsu no o no mikoto is enshrined. 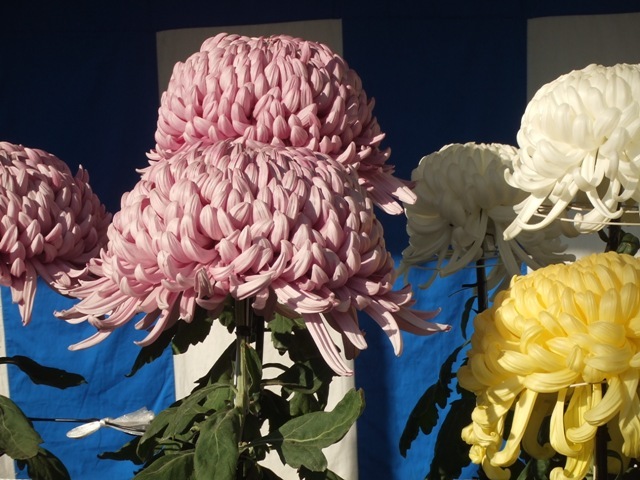 Soko means the bottom. 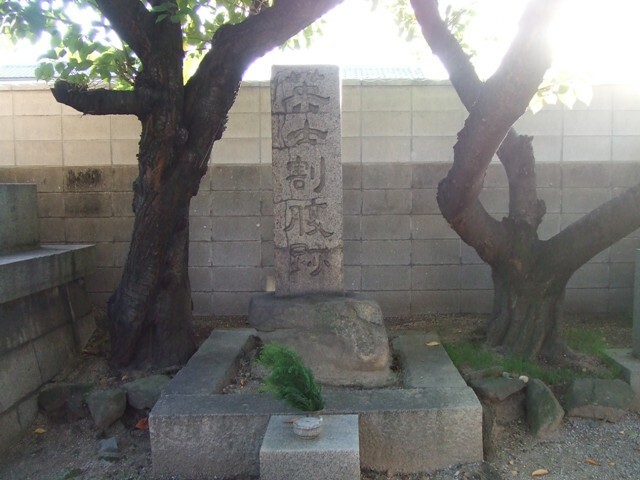 In the second shrine, Naka tsutsu no o no mikoto is enshrined. 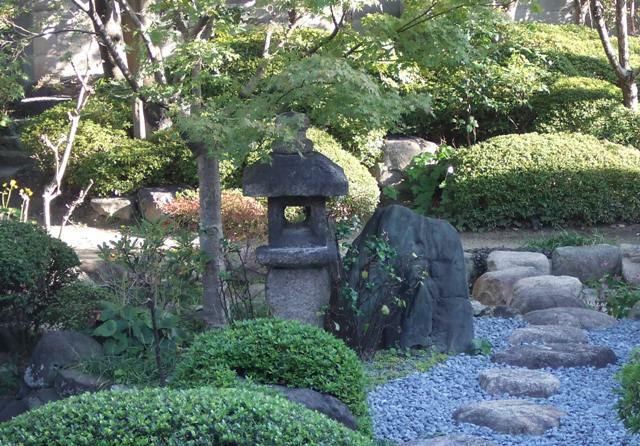 Naka means the middle. 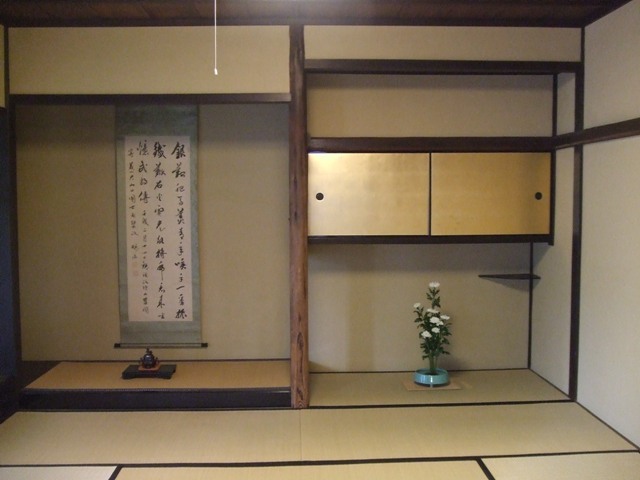 In the third shrine, Uwa tsutsu no o no mikoto is enshrined. 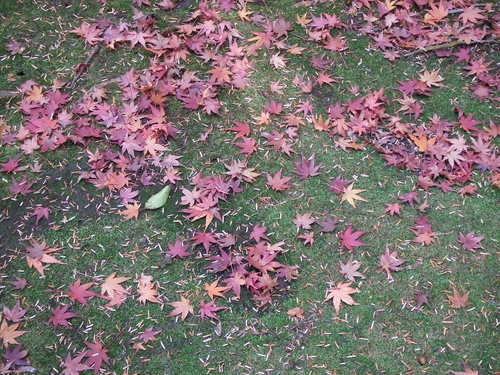 Uwa means the surface. 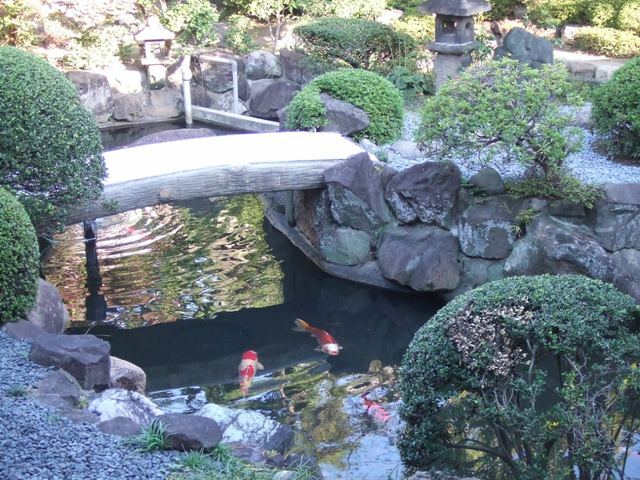 According to Kojiki, a Japanese history record book with legend and mythology, While Izanagi, a father of Japan, his mind and soul were being purified in the water, these three gods were born in the bottom, in the middle, and the surface of the water. 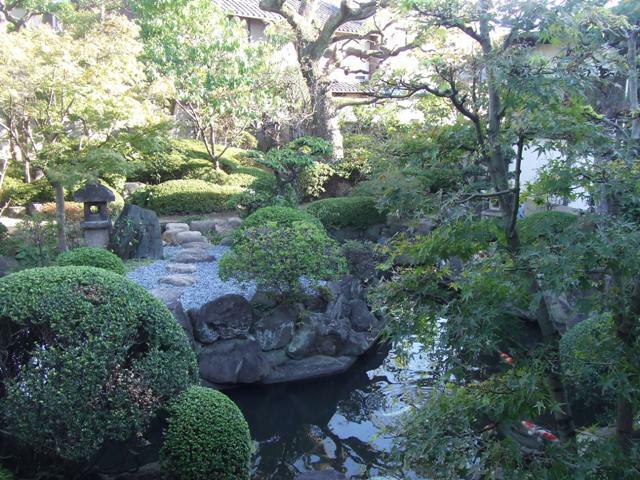 That is why Sumiyoshi ‘s three gods are said that they are gods of the water, and for safe travelling, culture, industry, agriculture, trading, foreign affairs, and stuff related to the water and overseas. 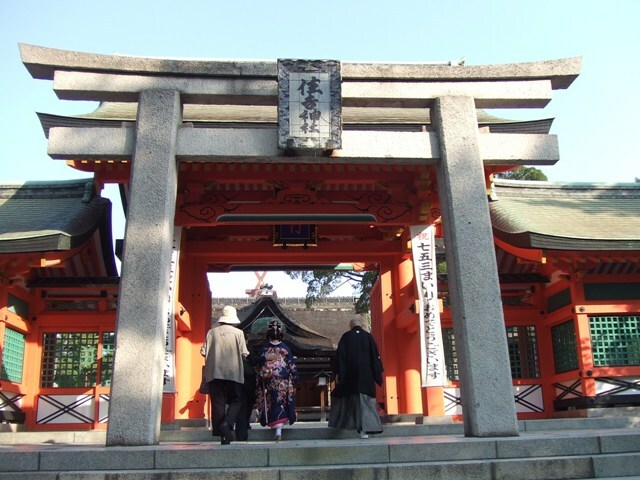 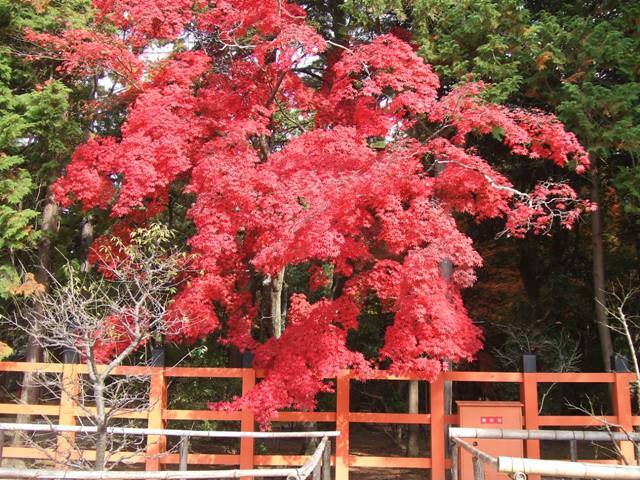 Next to the third shrine, Empress Jingu is enshrined in the fourth shrine. 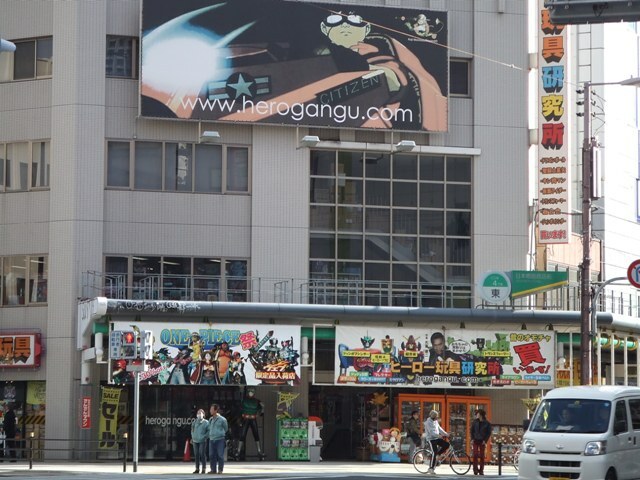 These four buildings are national treasures. 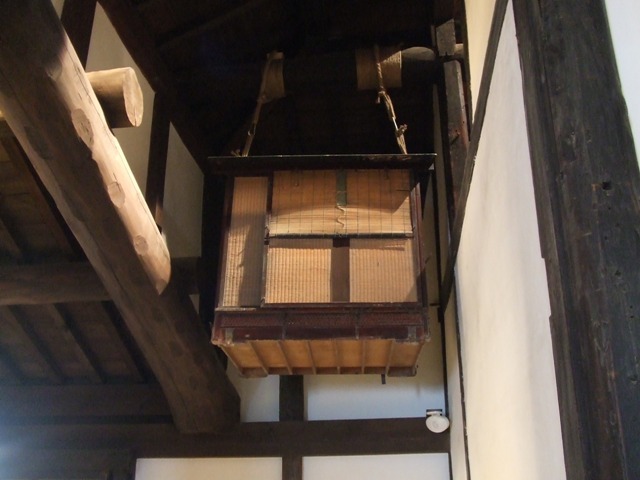 Shichi-Go-San (七五三, lit. 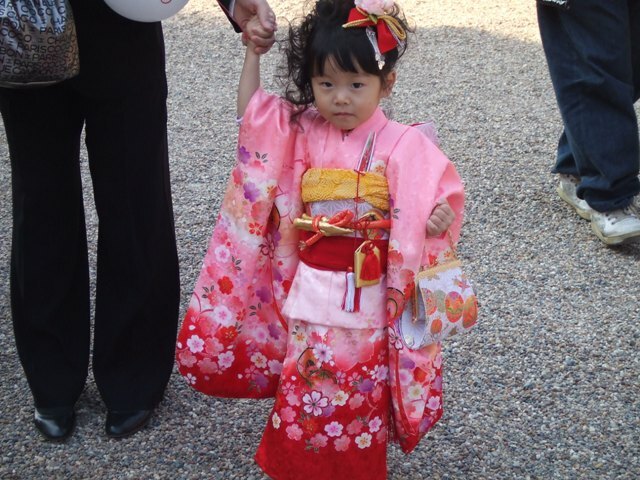 "Seven-Five-Three") is a traditional rite of passage and festival day in Japan for three and seven year-old girls and three and five year-old boys, held annually on November 15. 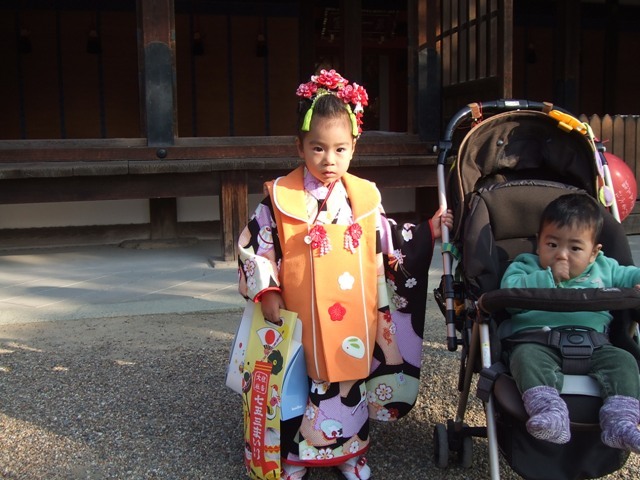 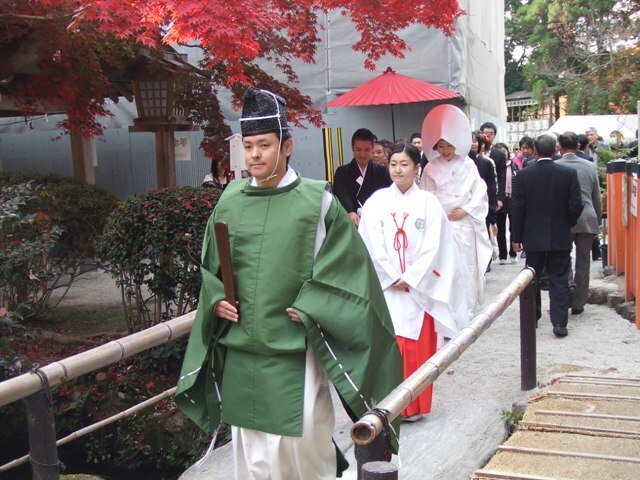 As Shichi-Go-San is not a national holiday, it is generally observed on the nearest weekend. 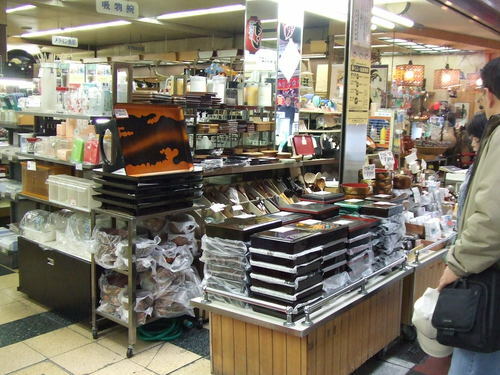 Eating is a prominent part of Osakan culture. 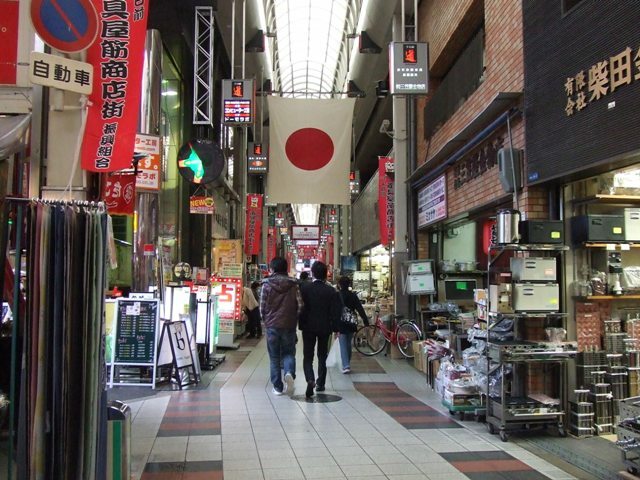 Since a long time ago, Osaka has been called “Kuidaore”, which means eating till falling down, whereas Kyoto has been called “Kiidaore”, which means being dressed until falling down. 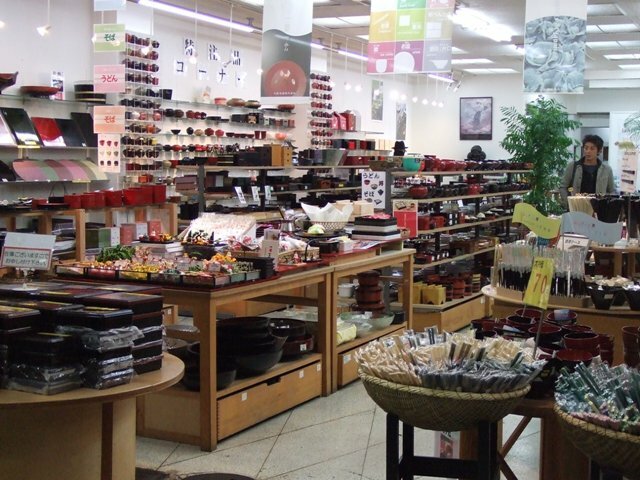 In Kyoto, you can find beautiful kimono stores, while in Osaka, there are lots of good restaurants. 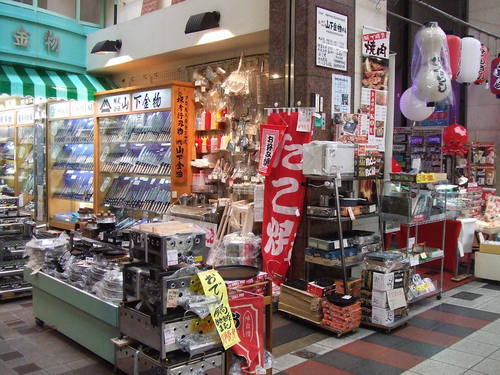 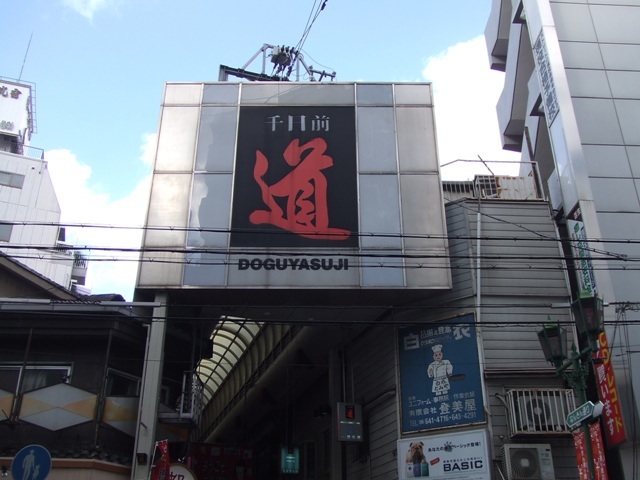 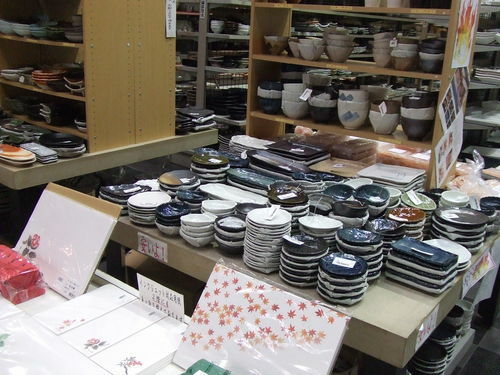 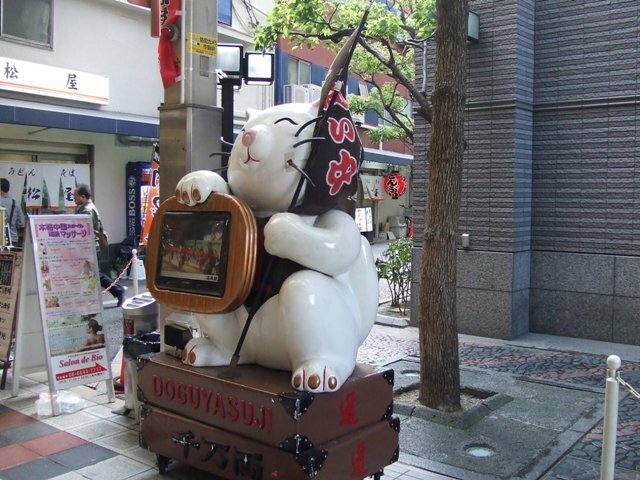 Doguyasuji is a street where the people who work at restaurants buy tableware, cooking utensil, signs, and stuff. 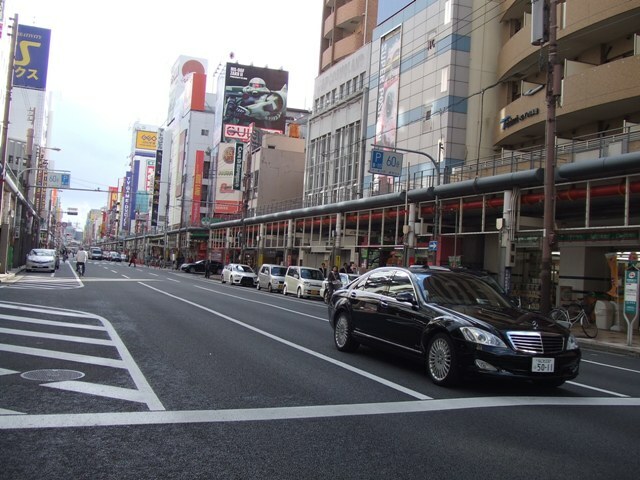 Now this street is a popular tourists’ spot. 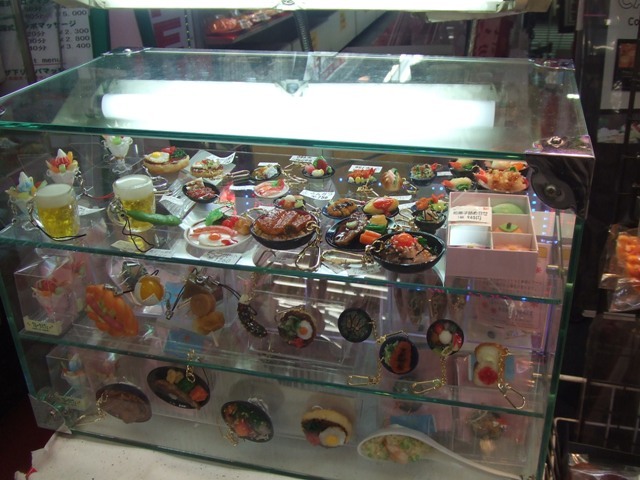 There are miniature food key rings made from wax for souvenirs. 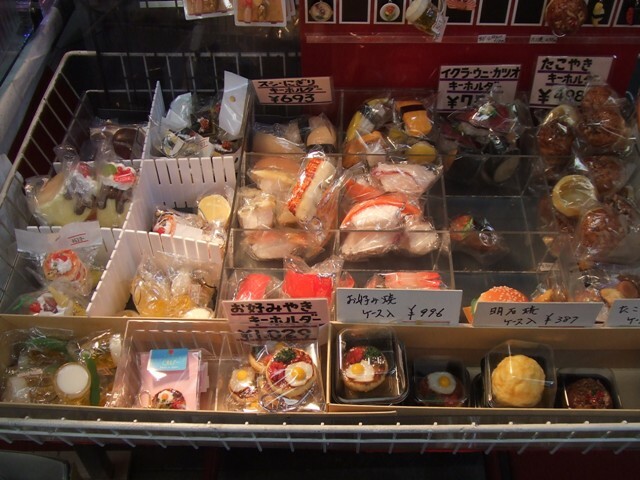 Dishes made from wax are seen often seen in front of restaurants to show the customers what the dishes are like. 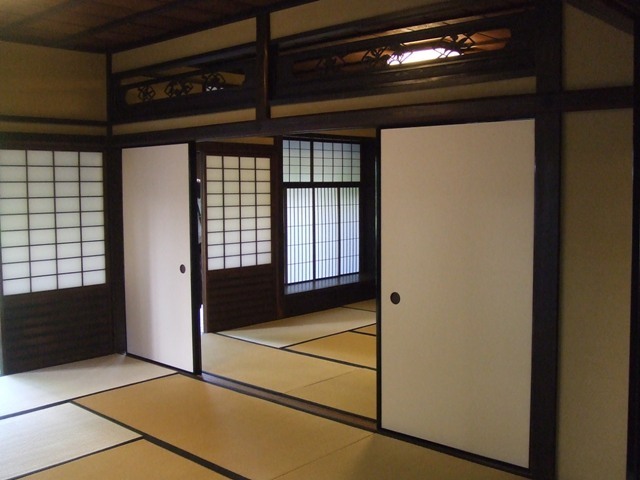 Do you want to open a Japanese restaurant??? 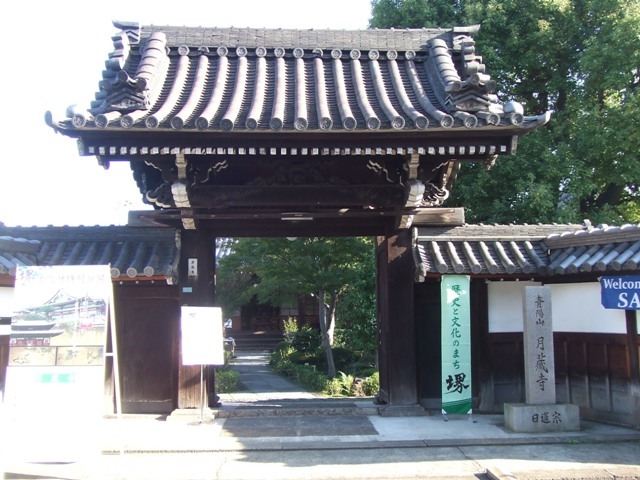 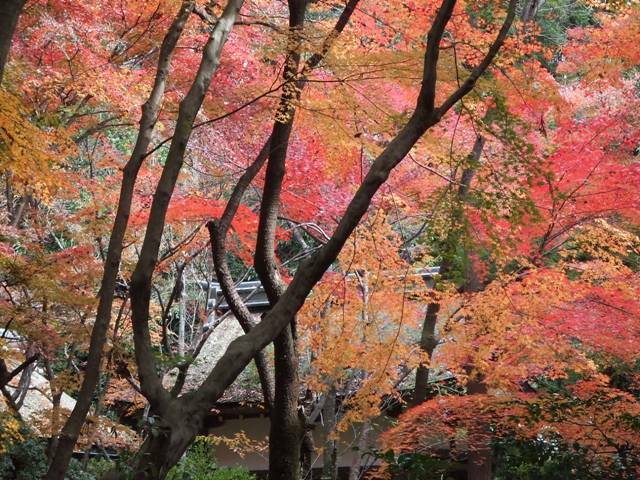 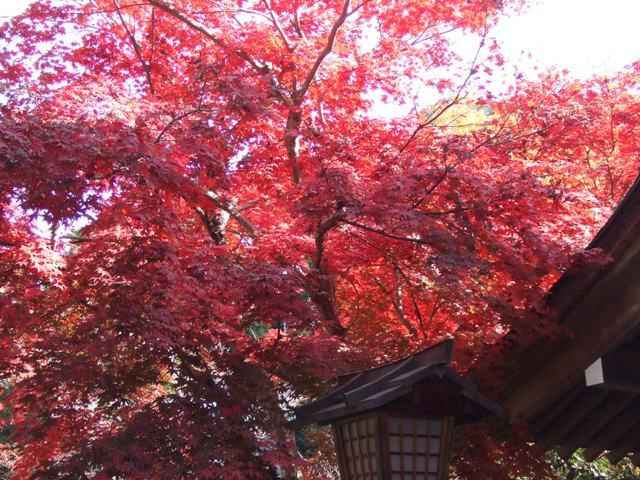 Myokokuji Temple was established in 1562. 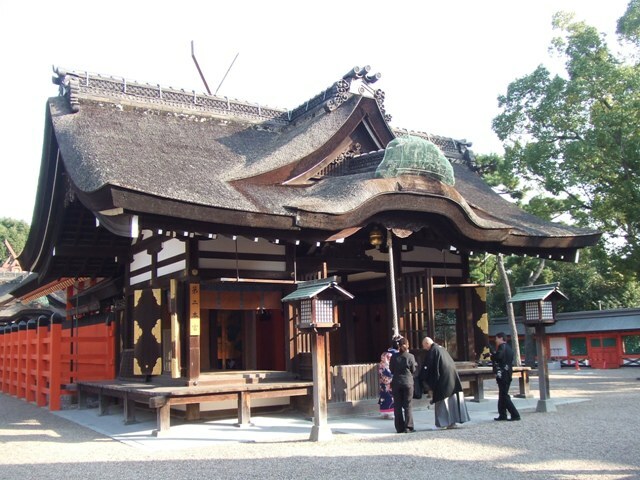 Since it was attacked and burnt down in 1945 at the late stage of World War II, the buildings of this temple is new. 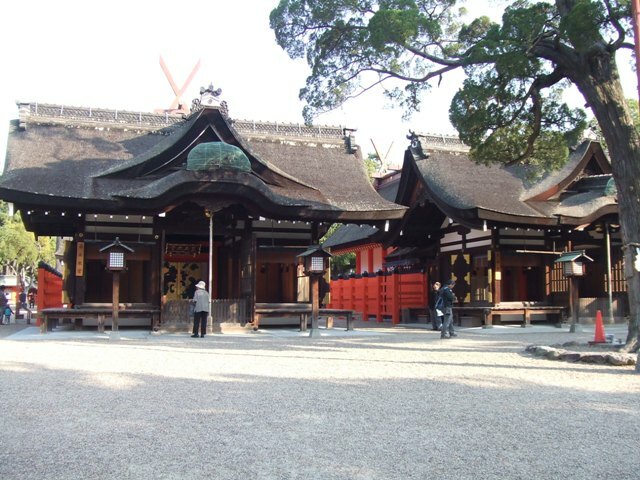 This temple is famous for the cycad. 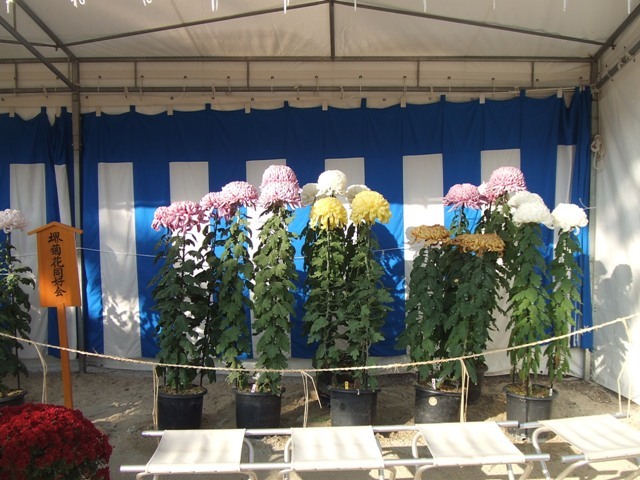 Here is a legend of the cycad. 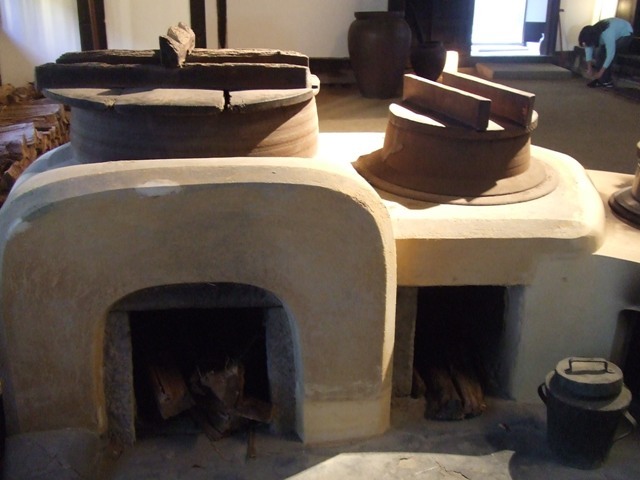 They have existed since 16th century. 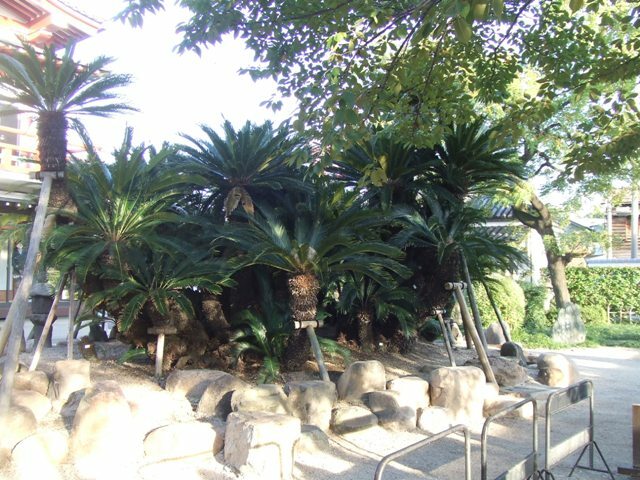 Once they were taken to Azuchi in Shiga Prefecture with Nobunaga Oda, but the cycad cried, even bled, and said it wanted to go home. 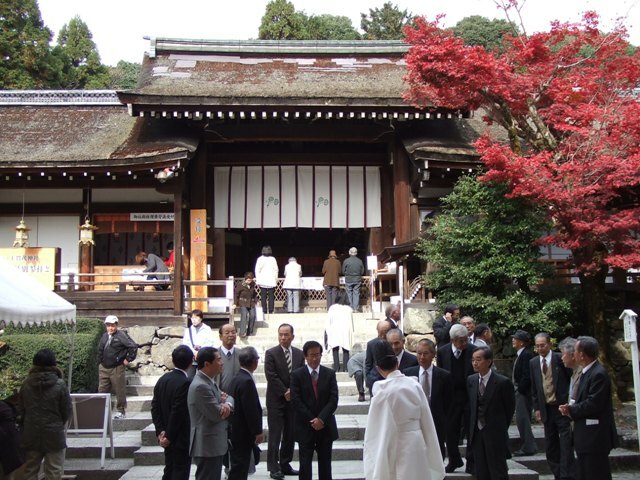 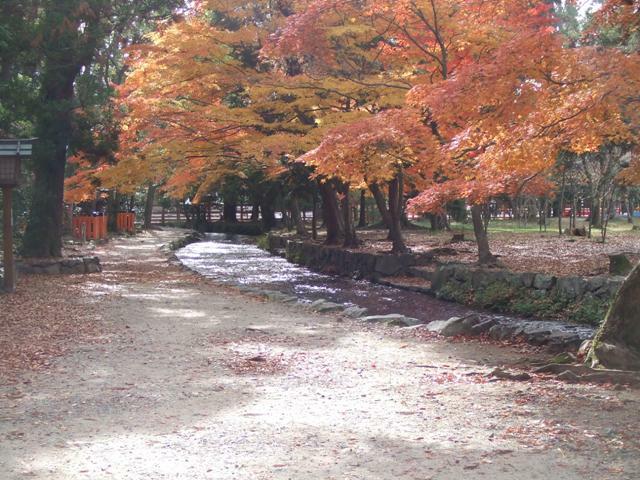 Consequently, it was safely brought back to Myokokuji Temple! 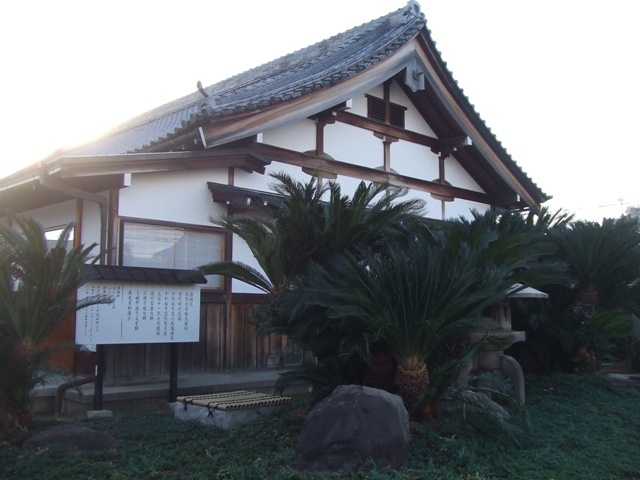 There are many cycads now. 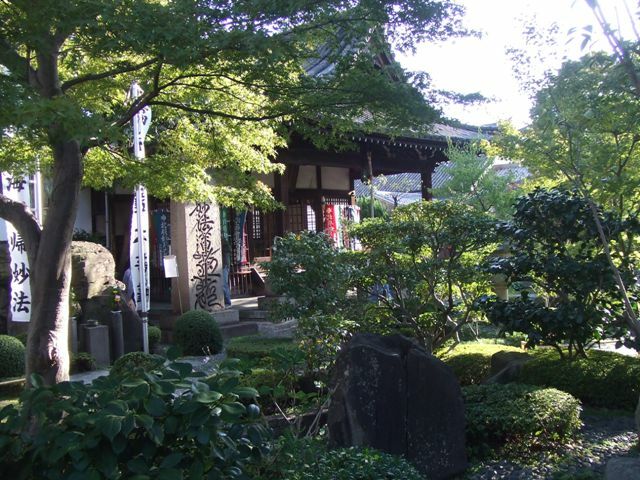 Myokokuji is also known as Seppuku Temple. 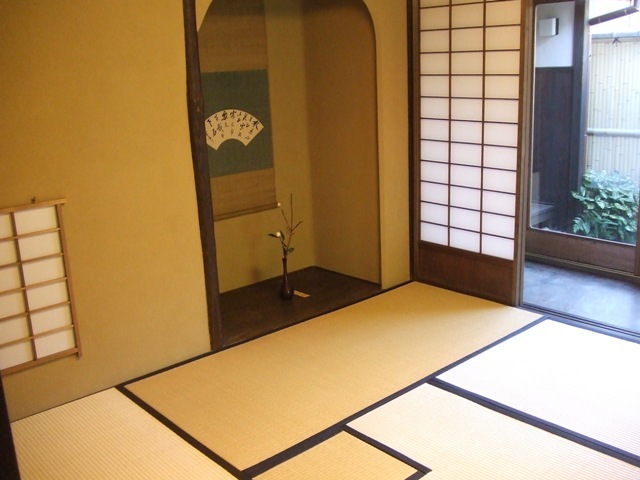 Seppuku means “hara-kiri”, and this term is better known. 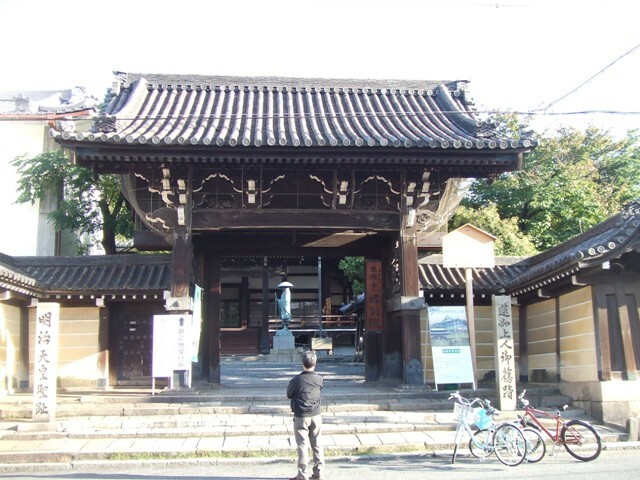 At the very end of Edo period, 7 months before Meiji Restoration in 1868, samurai warriors from Tosa, the old term of Kochi Prefecture, were guarding Sakai City at that time. 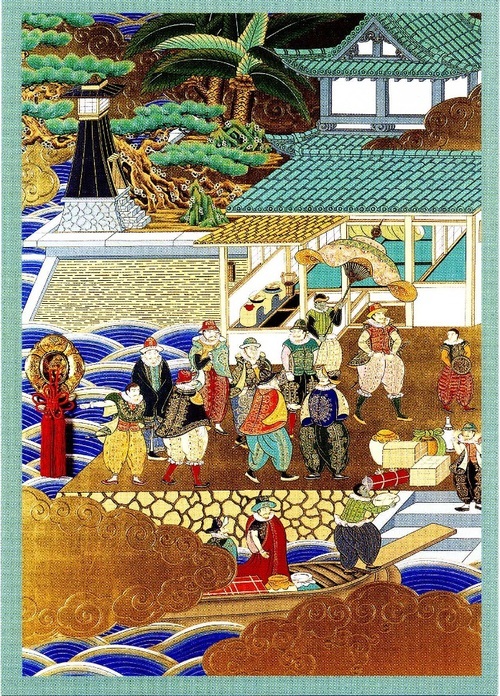 There was a dispute with French sailors and those sailors were killed by Tosa samurai warriors. 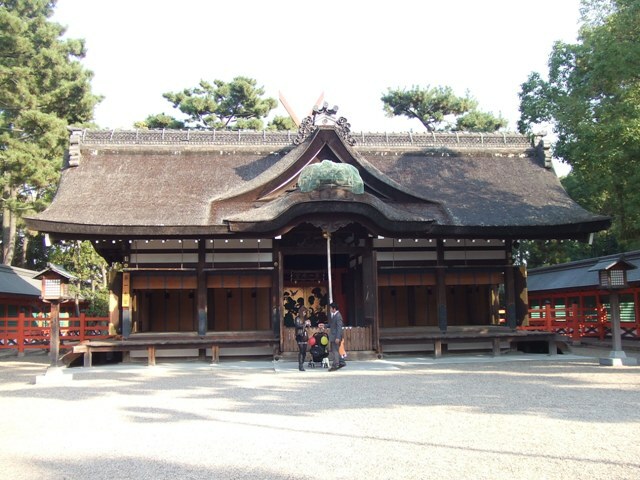 29 samurais were sentenced to death and eleven of them were killed by hara-kiri at Myokokuji Temple to take responsibility. 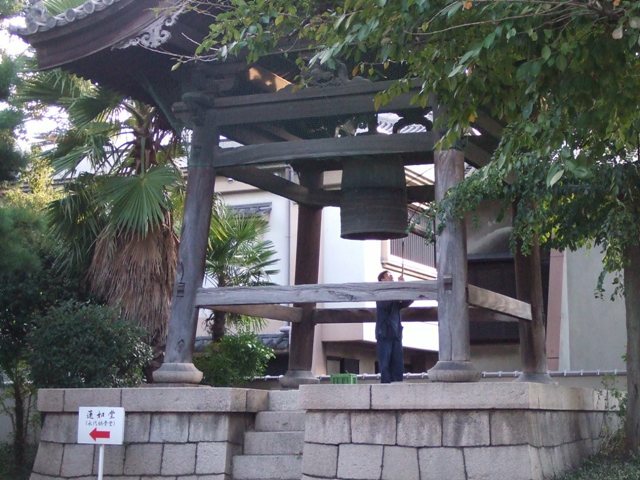 This incident is called Sakai Jiken, in English, Sakai Incident. 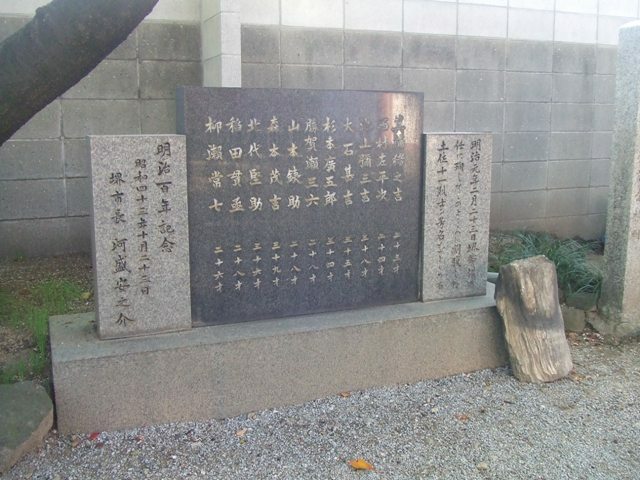 Here are the names of 11 samurais. 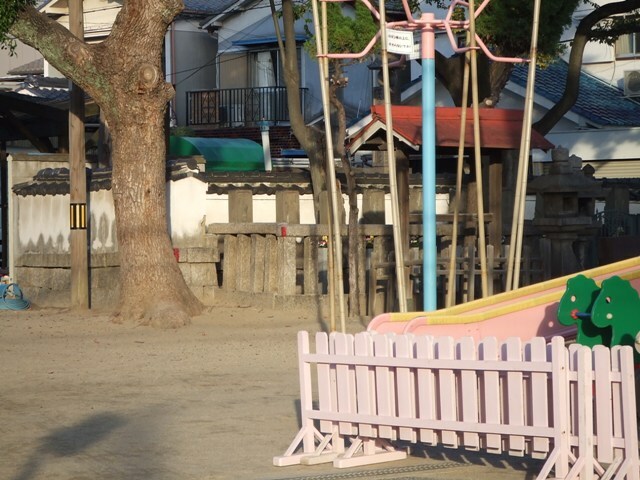 There are graveyards of these worriers inside of this kindergarten across from Myokokuji. 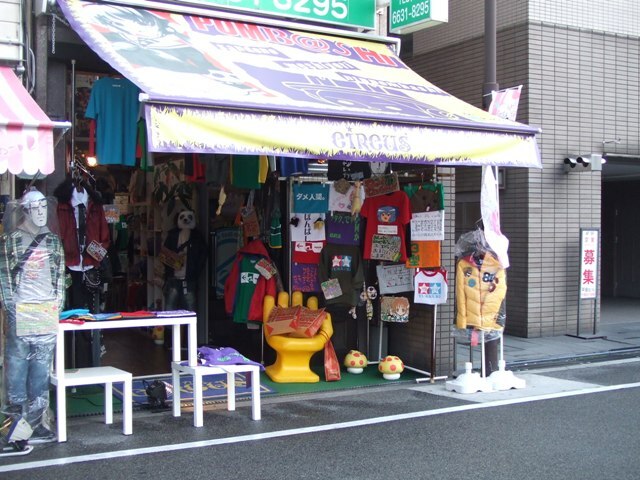 Open everyday except the end and the beginning of the year. 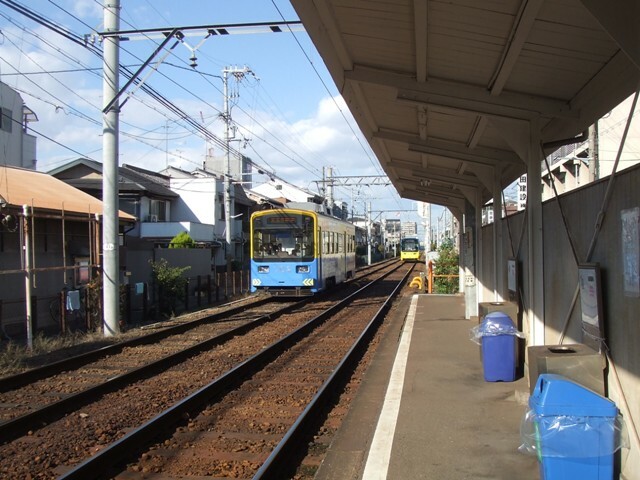 A few minute walk from Myokokuji-mae Station of Hankai Line. 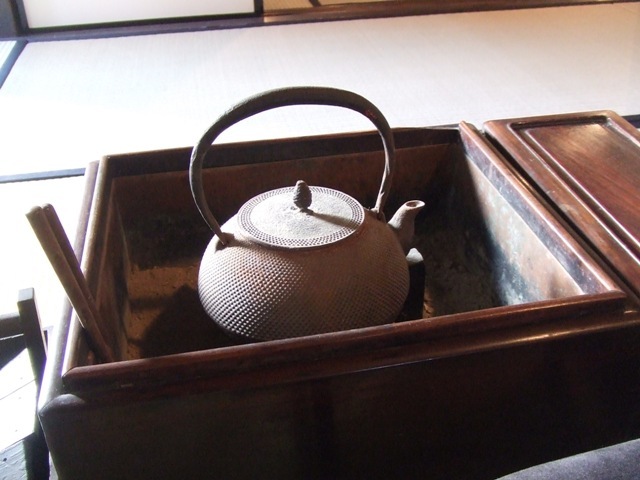 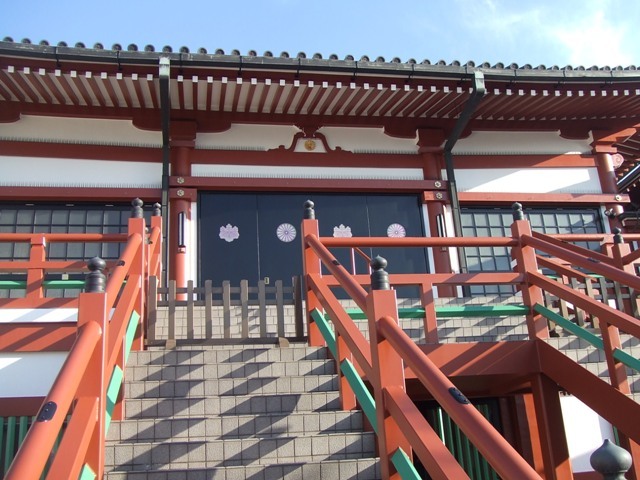 During the special exhibition period, Honganji Temple Sakai Branch was open. 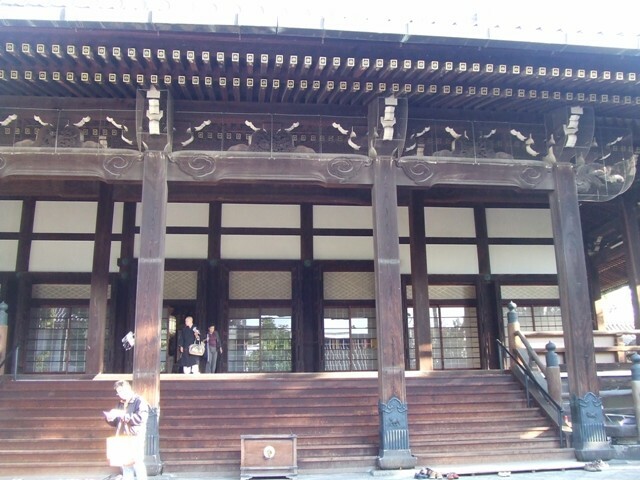 Main building of Honganji Temple Sakai Branch is the biggest wooden architecture in Sakai City. 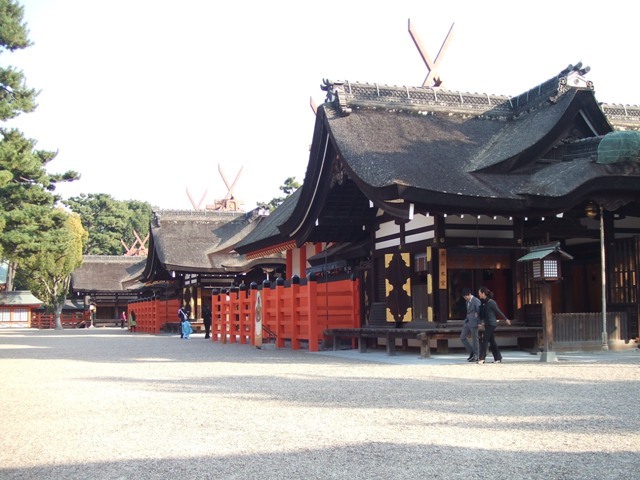 Main Temple of Honganji Temple is in Kyoto, which is known as Nishihonganji Temple. 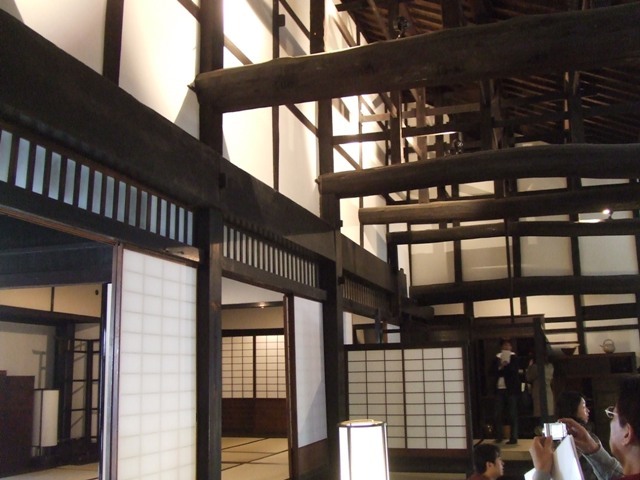 This Sakai Branch started in 1470. 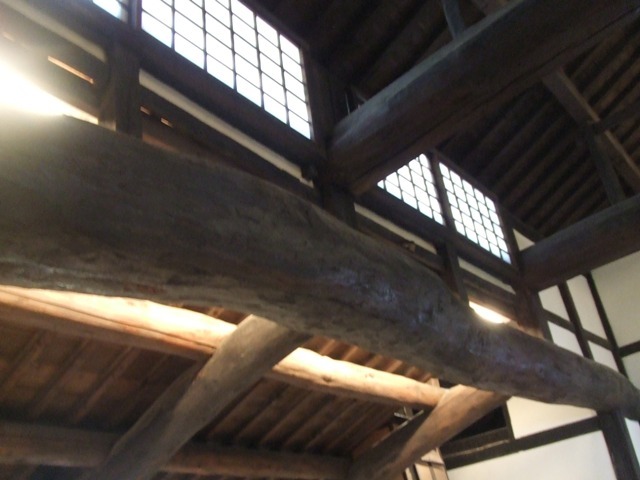 After having been burnt down in 1798, the current building was built in 1825. 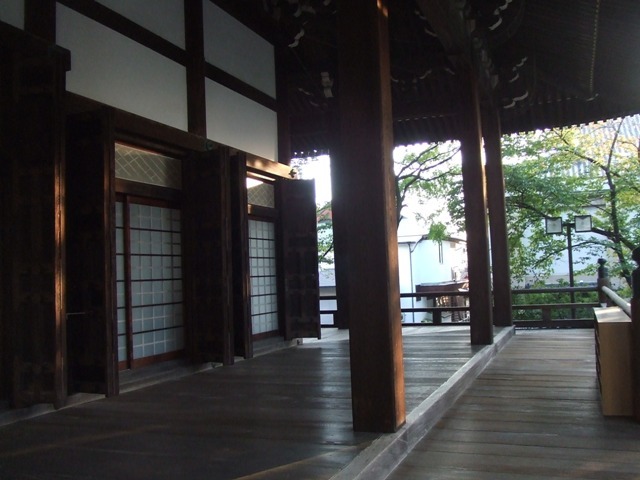 They have sliding doors that Portuguese and Spanish merchants when Sakai was prosperous with trading in 16th century were painted on. 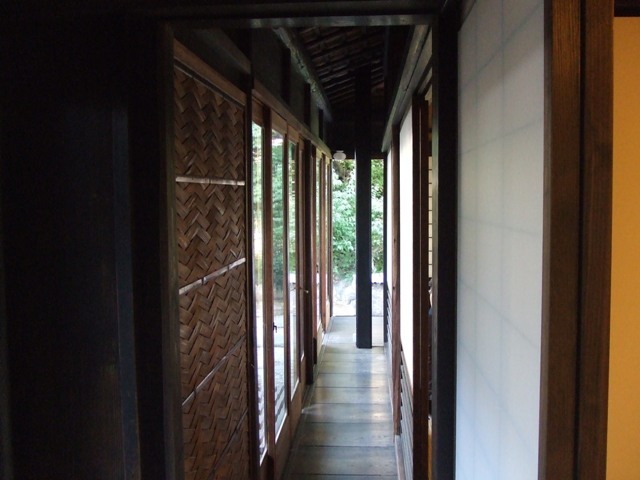 It was prohibited to take photos inside, but they distributed post cards of the sliding door. 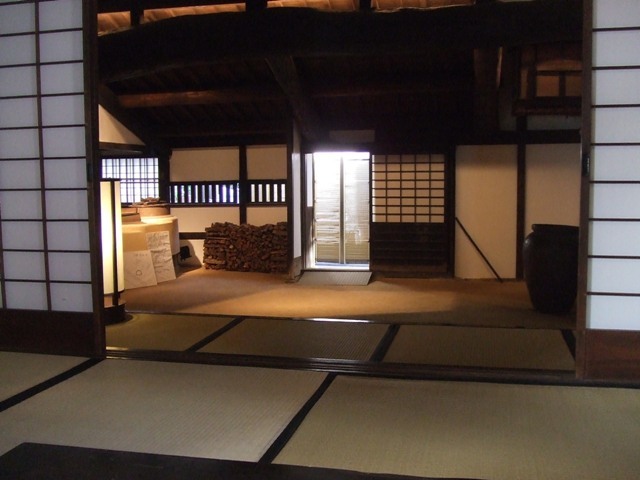 This house was built in Sakai, Osaka in 1618, the beginning of Edo period, and were expanded until1800. 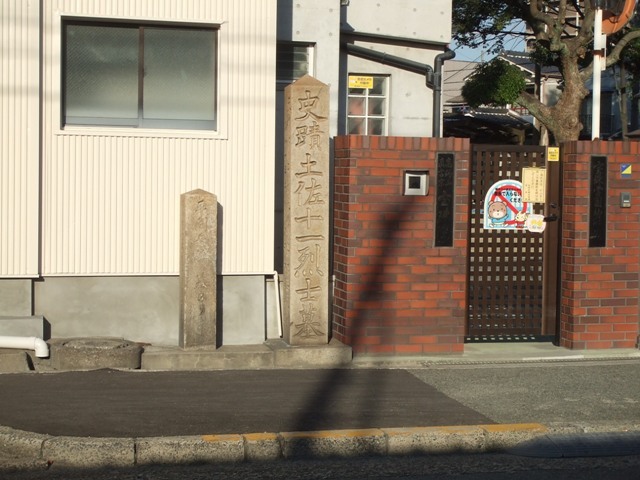 Yamaguchi family had lived here until 2004. 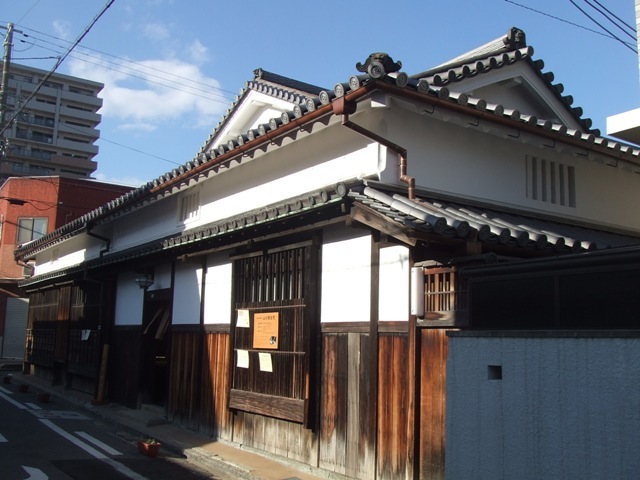 This house is registered as one of the important cultural assets, and now it is owned by Sakai City. 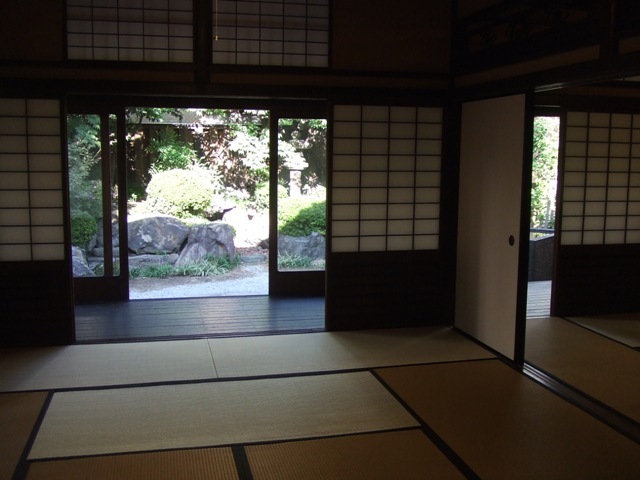 You can see the garden from inside. 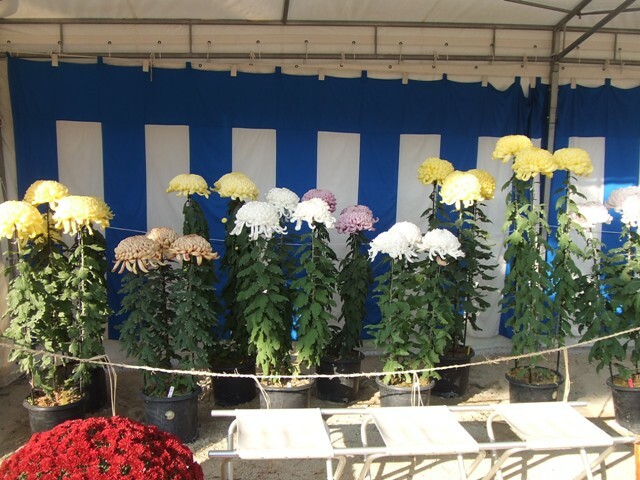 Japanese flower arrangement is matching. 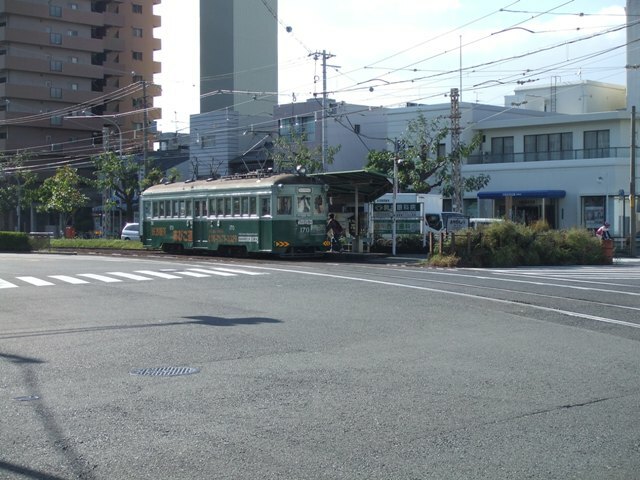 A few minutes from Ayano-cho Station of Hankai Line. 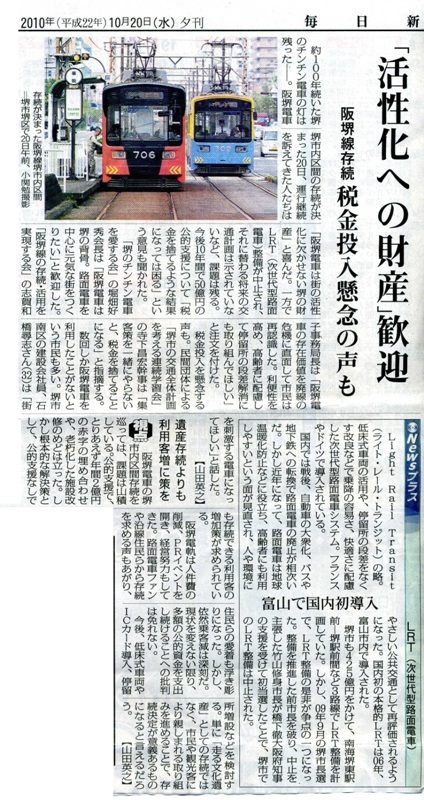 Once Hankai Line of Sakai City part was going to terminate, but recently the authority decided not to according to the newspaper. 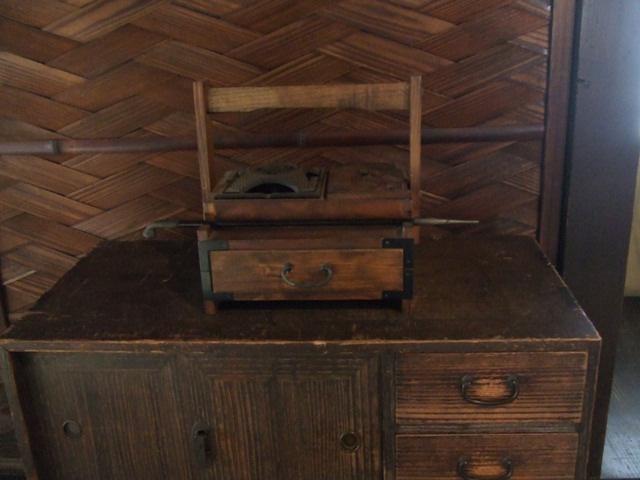 It has history of about 100 years.